Our Co-op Marketing Partnerships Program funding for the Vancouver Island region is $1,170,656, a 21% increase from 2016-2017. Tactics include: Landing page and content development on Tourism Victoria website; native editorial; digital advertising. Outputs: A landing page (https://www.tourismvictoria.com/pacific-marine-circle-route); and digital advertising. Project description: Cowichan’s positioning line “Slow Down. Savour Life” showcases the unique attributes of the destination—pristine marine environment, vibrant local arts scene, outdoor activities, festivals, thriving “gastro economy” and First Nations culture. 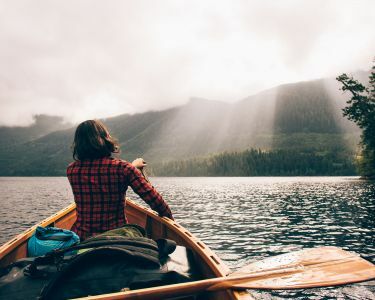 Project description: This consumer-direct campaign aims to build on a regional “The Real West Coast” sub-brand of Vancouver Island’s Pacific Rim area, including Tofino, Pacific Rim National Park Reserve, and Ucluelet. A key campaign tactic will include engaging itineraries to promote touring and exploring in and between the communities on BC’s Highway 4 (“Canada’s Surf Highway”), beginning /ending at Cathedral Grove, to Ucluelet, Long Beach, and Tofino. Project description: The Fishing BC marketing initiative brings together all of the fishing sector tourism-related stakeholders under one provincial collaborative marketing effort to get more anglers fishing in BC and generate greater marketing impact. It will target avid, occasional, and lapsed anglers in the BC, Alberta, Washington State, and Oregon markets.